I have a confession to make to y'all. I am addicted to YouTube. Yep, it's a problem. The thing is, there really isn't a lot of quality TV anymore so I find myself gravitating towards YouTube. One of my favorite YouTube families is The Family Fudge . She has some really great recipes, that are super easy. 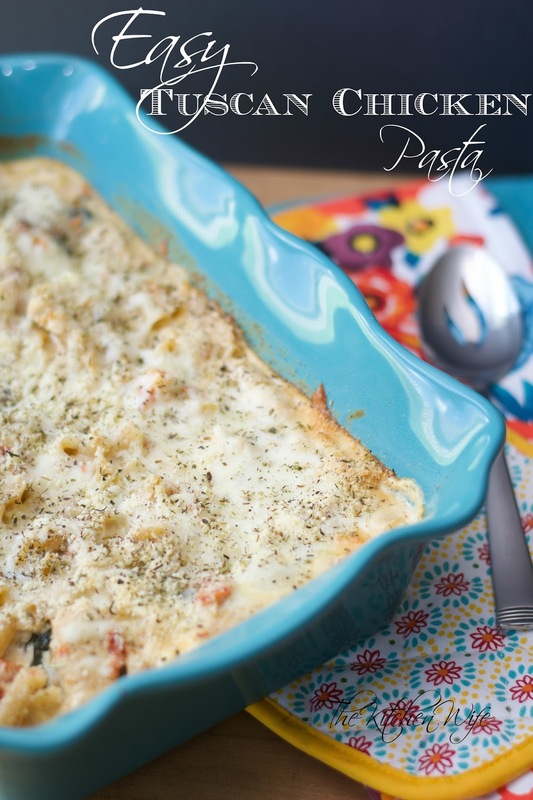 While I was watching the other day I saw her make this Easy Tuscan Chicken Pasta. I immediately knew my readers (you all) would love this recipe, so I reached out to her and asked if it would be okay for me to share the recipe on my blog. To begin you will need to preheat your oven to 350 degrees and place a salted pot of water on the stove to come to a boil. Next place a deep pan over medium/high heat and add a little olive oil. Once the pan is hot add the diced chicken. Let the chicken cook until a little brown and no longer pink. Remove the chicken from the pan and sit to the side. This is not sponsored, but I picked up this Tolerant Green Lentil Pasta for 2.99 from Whole Foods the last time I was there. I have also seen it at Kroger. I wanted to give it a try because it is gluten free AND it has 18 g of protein per serving. I mean, if I'm going to eat pasta I might as well get the biggest bang for my buck. I cooked it according to the instructions on the box and it was DELICIOUS! I know a lot of people say that the find gluten-free pasta to be slimy, but YOU MUST rinse it with cold water. 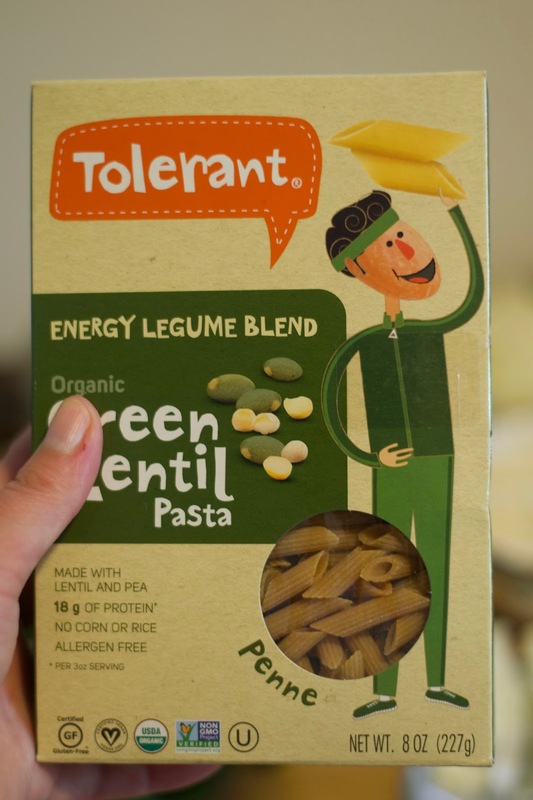 This pasta tasted just like a good whole wheat pasta and I highly recommend it! Once your pasta is fully cooked, add it to a greased baking dish. Now it's time for the sauce! To your skillet add the butter and allow it to melt. Next add the sun-dried tomatoes and garlic. Add the Italian seasoning and let cook for about a minute. This will really wake up the flavors in the dried herbs and give you maximum flavor. This next step is something that I added to the recipe. Add the spinach to the pan and cook for 2-3 minutes. I love how it looked in the dish, and let's be real, I'm going to add greens anywhere I can. I also think Tuscan Kale would be nice in it as well. Once the spinach has wilted, add the cream cheese and cook until it has melted. Now add the milk and stir until the cream cheese has fully incorporated into it. HALF of the shredded mozzarella. Stir it into the sauce until smooth. Now you can return the chicken to your sauce and stir everything together. Pour the creamy sauce over the cooked pasta in your baking dish and stir everything around until all of the pasta is coated. Now top the casserole with the remaining cheese and sprinkle a little Italian seasoning over it. You know, to make it pretty. Place in the oven for 15 minutes and allow the cheese on top to melt and get brown. And your Easy Tuscan Chicken Pasta is ready to go! Oh my stars look at all creamy, cheesy, goodness! This dish is packed full of great Italian flavor that would rival ANY restaurant, AND YOU MADE IT! I served this Easy Tuscan Pasta with a simple salad and some homemade garlic bread. It was perfection! Also, I would like to point out that she said this make a great freezer meal too! So thank you The Family Fudge for allowing me to share your delicious recipe with my readers, and y'all need to get in the kitchen and make this Easy Tuscan Pasta TONIGHT! 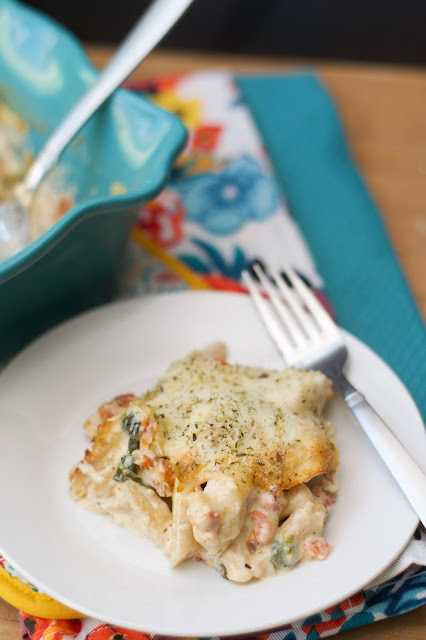 A simple, delicious, recipe for EASY TUSCAN CHICKEN PASTA. Place pot of salted water on stove and bring to boil. Place skillet over medium/high heat and add oil. Once the pan is hot add the chicken. Season with salt and pepper. Cook until browned and no fully cooked, about 10 minutes. Remove the fully cooked chicken from the pan. Add the pasta to the boiling water and cook according to the directions on the box. Drain and add to a greased baking dish. To the skillet, add butter and allow it to melt. Add the sun-dried tomatoes, garlic, and Italian seasoning. Cook for 2-3 minutes. Add the Spinach and cook 2-3 minutes until wilted. Add the cream cheese and melt. Add the milk, HALF of the parmesan cheese, and HALF of the mozzarella. Stir until sauce is smooth. Return the chicken to the sauce. Pour the sauce over the pasta in the baking dish and stir until all the pasta is coated in the sauce.